Nokia’s first Windows Phone smartphone, the Nokia Lumia 800 has gone on sale here in the UK, and the Lumia 800 is available from the majority of the mobile carriers as well as other retailers. The Lumia 800 is available from Three, O2, Orange and T-Mobile, and the prices of the device vary depending on which contract you take out with the various carriers. As a reminder, the Nokia Lumia 800 features a 3.7 inch AMOLED touchscreen display with a resolution of 800 x 480 pixels, there is also a single core 1.4GHz processor and an 8 megapixel camera with an LED flash an Carl Zeiss optics. 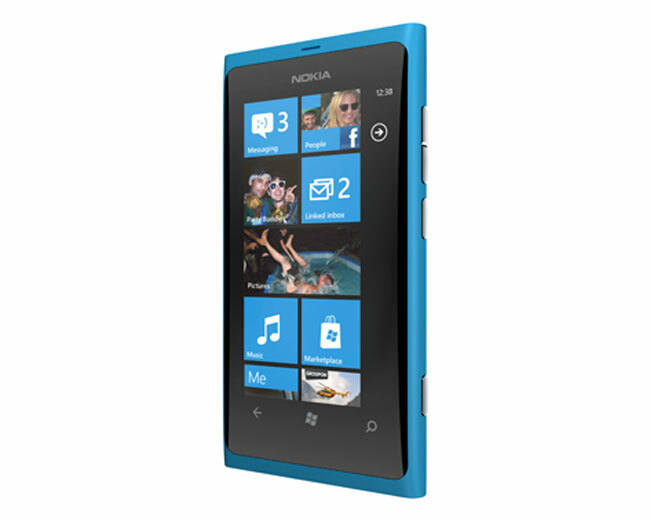 The Lumia 800 comes with Windows Phone 7.5 Mango, and it features 16GB of built in storage, 802.11 b/g/n WiFi and GPS. Have a look at our Nokia Lumia 800 review to see what we thought of Nokia’s first Windows Phone device.